Commissioned by Dutch design agency Stoere Binken Design we carefully overhauled the logo, as used on all the packaging. We polished out the good side of the typeface and rejuvenated it. 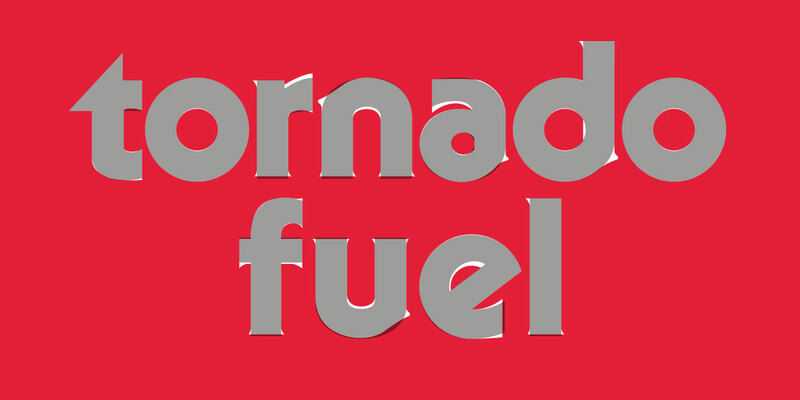 All with respect to this 35 year old Tornado Fuel logo. Tornado supplies a wide range of quality products for radio controlled toys. The products are manufactured in a highly specialized facility in The Netherlands. Own Research & Development facilities turn innovative ideas in reliable products and a well organized distribution network ensures world-wide availability. The Tornado Fuel brand is over 35 years old and has a very good reputation in the field. They are known for their eye-catching ‘red can’. Still, the client realized it was time to upgrade their brand identity. 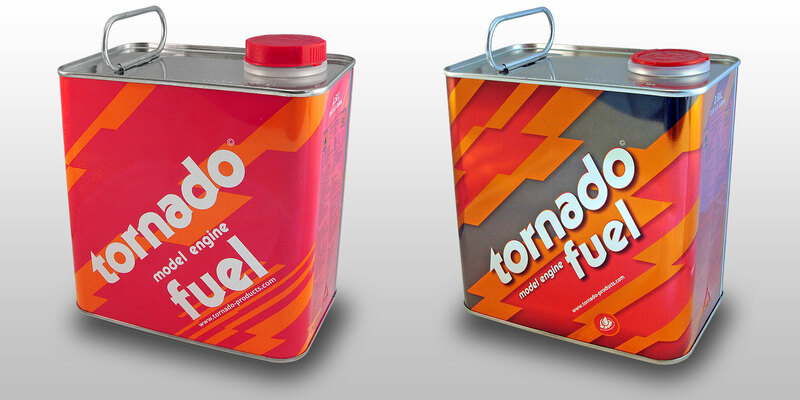 Starting with the Tornado Fuel logo on the packaging, the brands’ flagship. 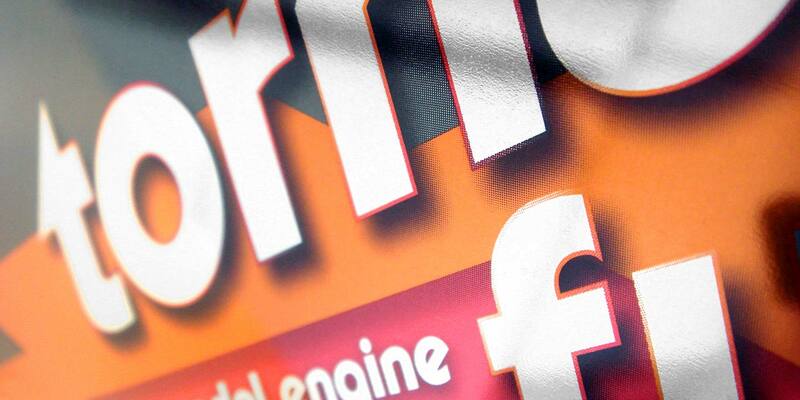 Tornado’s corporate font is Serif Gothic Black, created by Herb Lubalin and Tony DeSpigna in 1972. The Tornado brand has not been really changed since the founding date in the mid 70s. Clearly Serif Gothic was a modern font at the time but the client needed a major upgrade. The small serifs were removed, counter forms opened up, proportions optimized, glyphs were unified to balance the logo and many more subtile changes have been made. Since the Serif Gothic font family has no Italic style, the Roman font was used for the original packaging. This made the overall appearance look quite static. We opted to make a special italic logo for the packaging to make it more dynamic. We used the Serif Gothic font as a reference to hand letter the new Tornado logo. We made a real Italic style, and not a slanted Roman. We changed the details very carefully and preserved the character of the original logo. It looks killer on the metallic red tin cans. Pure eye-candy.